Medicinal Cannabis and Cannabinoids EU: Where do we go from here? Medicinale Cannabis en Cannabinoïden EU: Waar gaan we naartoe vanaf hier? Union Halle, Frankfurt am Main, Duitsland. Tickets €295 (een dag) en € 395 (twee dagen). Groepskorting vanaf 3 personen. Geopolitics and new legislation has generated major interest in medical cannabis world-wide. 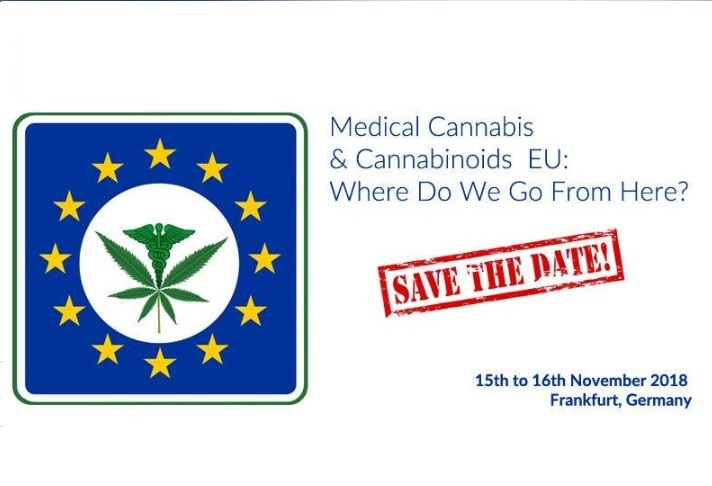 Forums and Events invite you to partake in a two day conference exploring the future of the Medical Cannabis industry in the EU. Bridging collective interests within the industry to include scientific research, development, legislation, policy, patient advocacy, producers, business development and investment opportunities. This will inevitably create a strong synergy between participants and delegates. The end result being constructive, informative, and thought provoking for everyone whether novice or expert in the trade market.